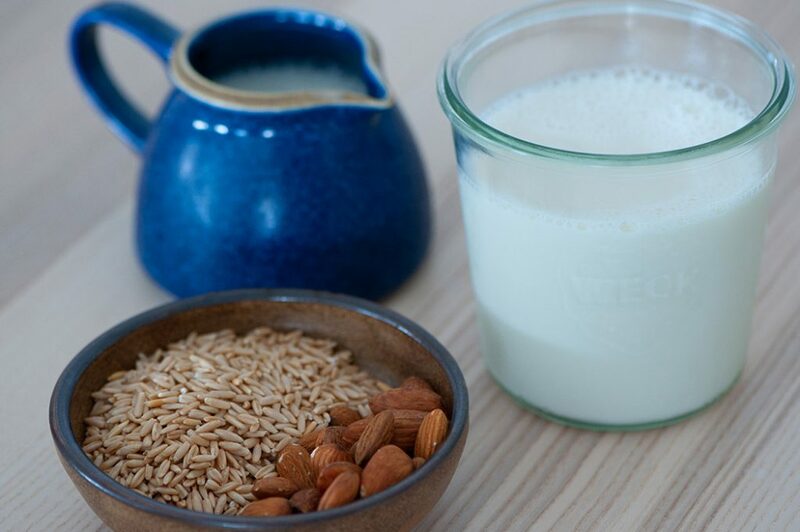 Nut and grain milks, like this oat almond milk, are a popular choice if you are avoiding dairy or just fancy some variety. As with everything homemade, making your own non-dairy milks means total control over your ingredients and the ability to avoid all sorts of commercial additives. My oat almond milk recipe was inspired by Tebasile’s Kitchen. 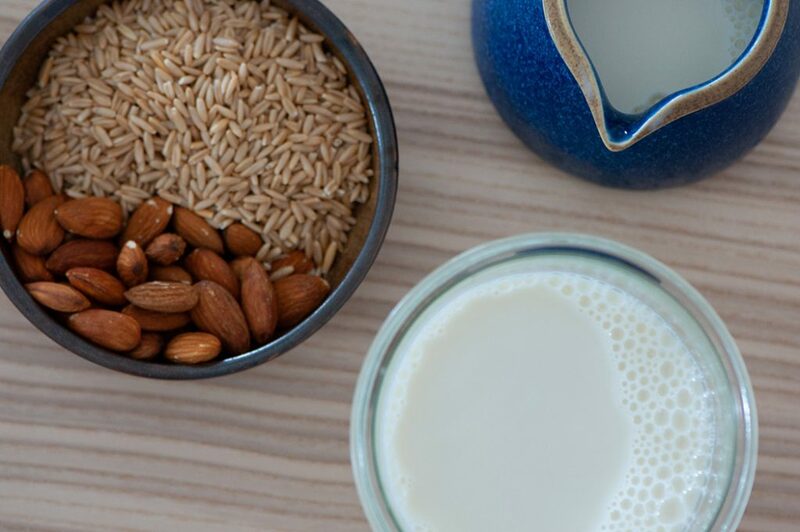 As well as oats and a few almonds, I add a hint of sea salt, dates and vanilla to create the slightly mineral, sweet and salty flavours found naturally in dairy milks. It’s delicious, easy and very inexpensive compared to buying oat milk ready made and it has no artificial additives when you make your own. The almonds add a lovely creaminess. For a nut free oat milk, use hemp seeds (also called hemp hearts) or sunflower seeds instead of almonds. Place a bowl on TM lid and add to it the whole oat grains, almonds, 1 pinch of the sea salt and 500 g of the filtered water. Set aside to soak overnight (or at least 6 hours). Pour soaked oats/almonds through simmering basket to discard soaking water, then rinse oats/almonds and drain. Place rinsed oats/almonds in TM bowl, add remaining 750 g filtered water, remaining 1 pinch sea salt, dates and vanilla then blend 2 min/speed 10. Strain through a nut milk bag or a double layer of cheesecloth and squeeze the bag to extract all the milk. Serve milk or chill in fridge up to 3 days. 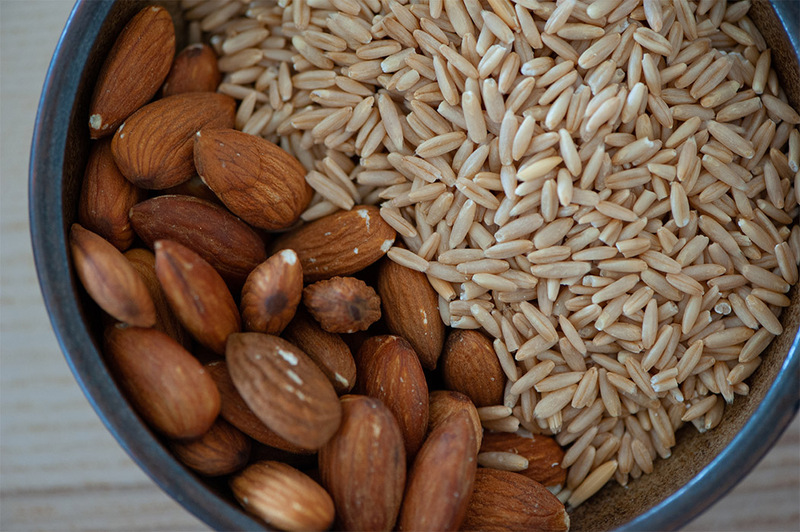 Seeds or other nuts of choice may be substituted for the almonds. The pulp can be discarded, used in baking or added to a smoothie. If a plainer flavour is desired, reduce or omit dates and/or vanilla.